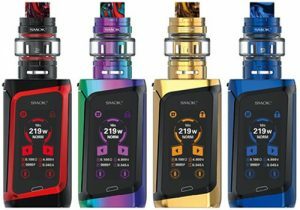 The Priv One Starter Kit features an integrated mod/atomizer, a hidden internal tank, a top fill system, an ultra-compact design, a 920mAh internal battery, innovative top airflow for good vapor, a big fire button and 60 watts of maximum output. 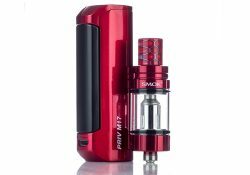 The Smok Priv M17 Kit consists of a 60W mod and Stick 17MM Tank. 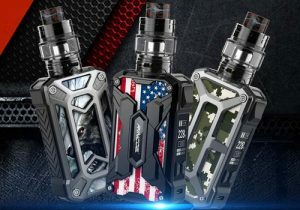 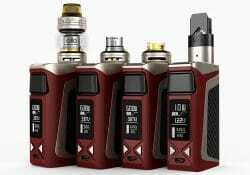 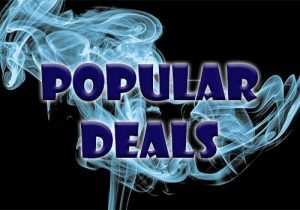 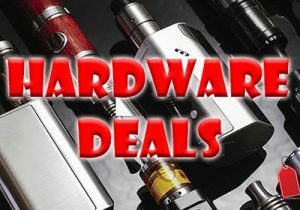 The box mod features portability, a 1200mAh battery and large fire mechanism, while the tank has a 2ml capacity, a top refill system, adjustable airflow and dedicated new coils. 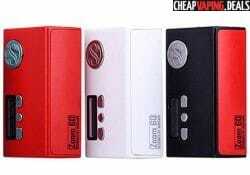 The new Nebox by Kangertech is a temperature control device with an output power of 60 watts. 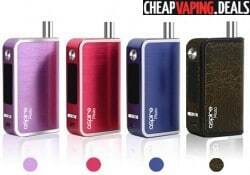 It is a brand new system which houses the tank within the box mod and has a big 10ml juice capacity. 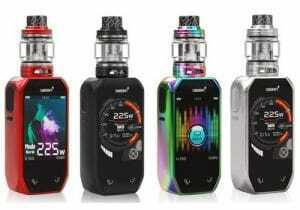 The iJoy Elite Mini Kit is very unique because you may use it with three different vape styles. 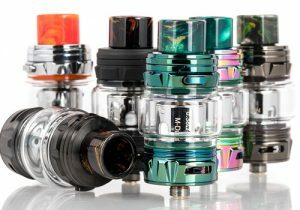 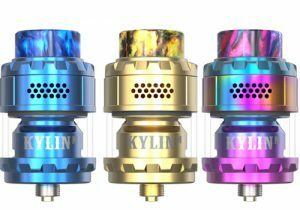 Coupled with the included IJOY Captain Elite, you may use it as a tank (pre-built coil) or RTA. 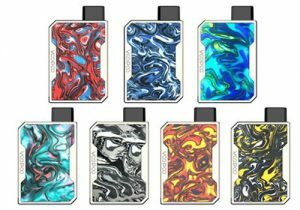 Or, you may install the included J&P Pod Adapter that allows you to install Juul and Phix Pods. 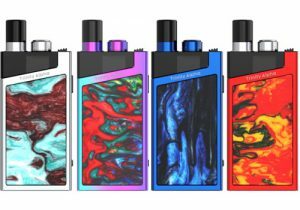 The Advidartisan Gamblers Mod Kit features a very compact design, a 1600mAh built in battery, 60 watts of power, temperature control and casino theme. 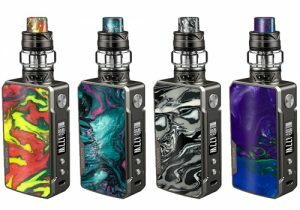 The Wake Little Foot Starter Kit is a sleek mod/tank combo that features an ultra small design, a 2000mAh internal battery, 60 watts of power, versatile temperature control including TCR, a 3.5ml tank capacity, a top fill system and both direct and mouth to lung vaping. 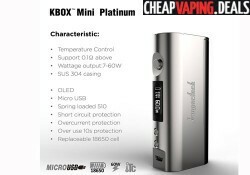 With this platinum edition of the Kbox Mini, you'll never look better while vaping. 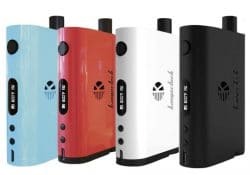 This new version of the mod features 60W of output power and has excellent temperature control functionality. 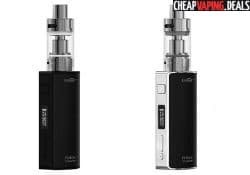 The Eleaf iStick 60W TC Express Kit (battery not included) is the groundbreaking & brand new temperature control box mod made by Eleaf. 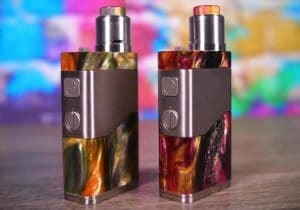 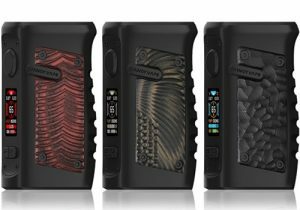 The Esquare DNA 60 mod by Lost Vape continues the amazing designs of the company's Esquare series. 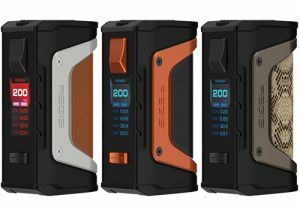 The new mod integrates a dual battery setup and is built upon Evolv's DNA 60 platform. 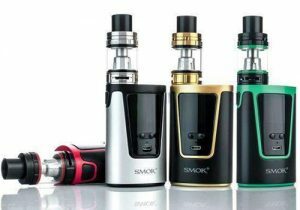 The Smok Koopor Mini Mod 60w is made of high-quality 304 stainless steel and zinc alloy. 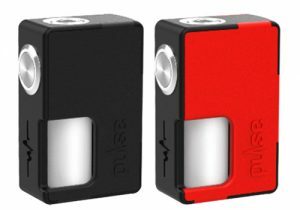 The battery is located behind a magned held cover which permits the user to changed batteries very fast. 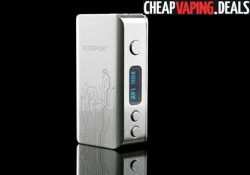 The Koopor Mini fires up to 60W and its resistance range is from 0.1 Ohms to 2.0 Ohms. 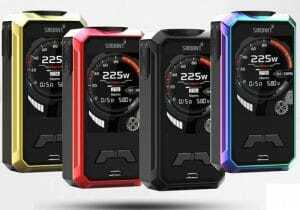 The Zoom by Augvape is a brand new box mod that features 60 watts of power, temperature control, an internal 1300mAh battery and smart charging system. 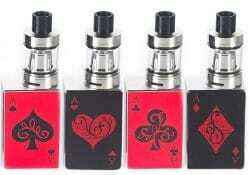 It is available in black/red, tiffany blue, red, white or black. 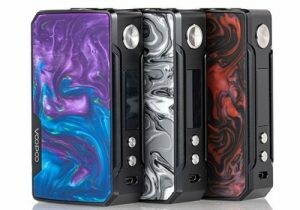 The Evaya box mod by Sigelei is features a full color TFT screen, 66 watts of ouput, temperature control with many coil types and a stabilized wood control face. 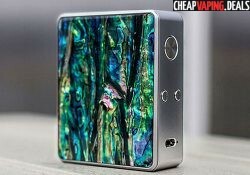 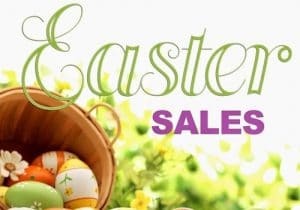 It is available in red metal, gun metal or silver colors. 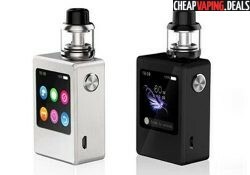 The Aspire Plato is a box mod with built-in tank setup. 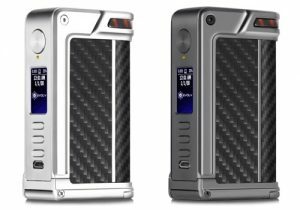 It features a large e-liquid capacity, plenty of power, several coil options and future firmware upgrades.